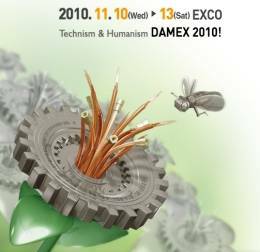 OneCNC Korea DAMEX 2010 issued on 10 to 13 November in Daegu, Korea. 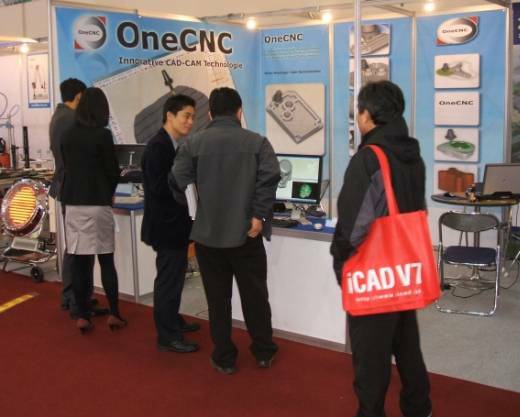 OneCNC is a new force in the CAD CAM industry in Korea very experienced in the industry offers a complete sales and support operations in Seoul, Korea. 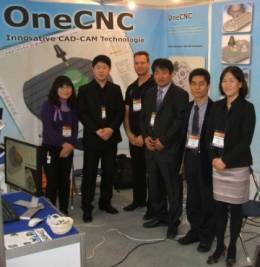 OneCNC Korea had 4 engineers to support on the exhibition show the complete range of products on CNC manufacturer. This is a top view of some of the stalls in the main hall. Here is the OneCNC Korea team including Application Engineer Scott of Australia OneCNC third from left. DAMEX The show was very successful and provided the opportunity for OneCNC personally demonstrate the ability of powerful product. For more information or a site visit to see the products in your production environment call OneCNC Korea. 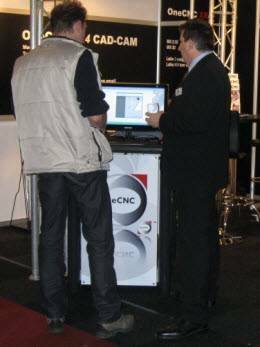 OneCNC Benelux again on Metavak Show (9-11 November 2010) in Gorinchem, The Netherlands issued. This is the third year in a row in this popular show for machinery and ancillary equipment suppliers. This year we have the full range of software OneCNCXR4 and picked the latest additions in CAD drawing, modeling and processing. Neil Day (top right) and his team busy during the show with demonstrations. 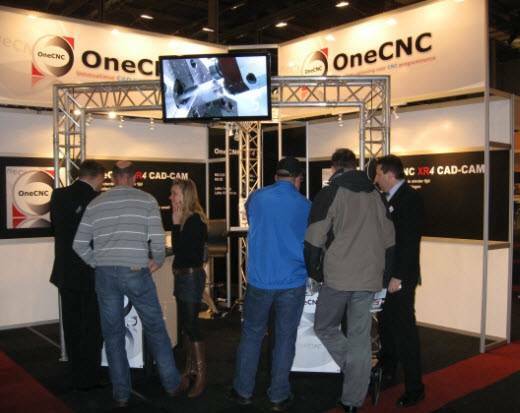 This show was the most successful in Gorinchem, with extremely positive feedback from our visitors. Our Dutch users were also full of praise for OneCNCXR4. 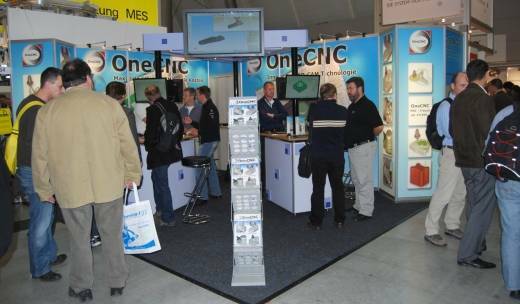 OneCNC Germany exibited at the AMB in Stuttgart last show in Germany 28 September - 2 October 2010. 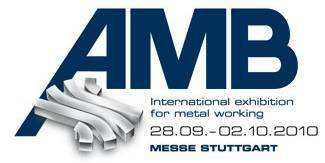 Organized by Messe Stuttgart International at Messe Stuttgart, Stuttgart Exhibition GmbH, Germany, the AMB International Exhibition is recognized as a highly specialized exhibition for metal working. Directed to capture new opportunities of precision, especially in engineering CNC machine tools. 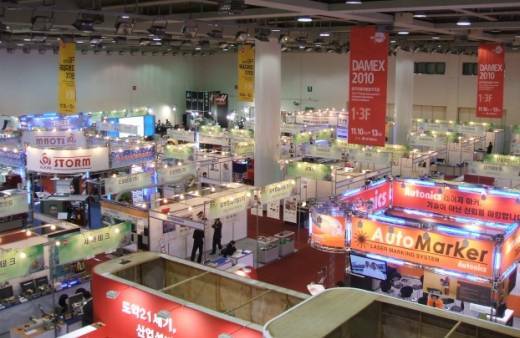 Spanning over 5 days, the event was effective as an exhibitor various machine tools, machinery, materials, components, precision tools and CAD CAM. Here we see the latest OneCNC CAD-CAM is shown at the fair. OneCNC Germany is strategically located in Lemgo, Germany and welcomes the opportunity to show or to support on-line as well as the full support of the complete range of products with on-site training.